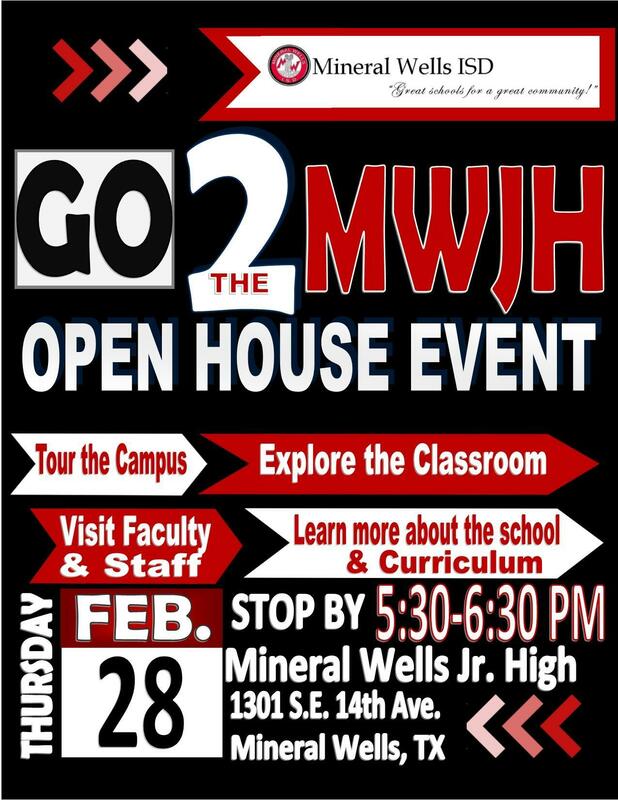 Mineral Wells ISD will join students and educators throughout the State of Texas in inviting their communities to visit schools to see firsthand how students are preparing for the future. 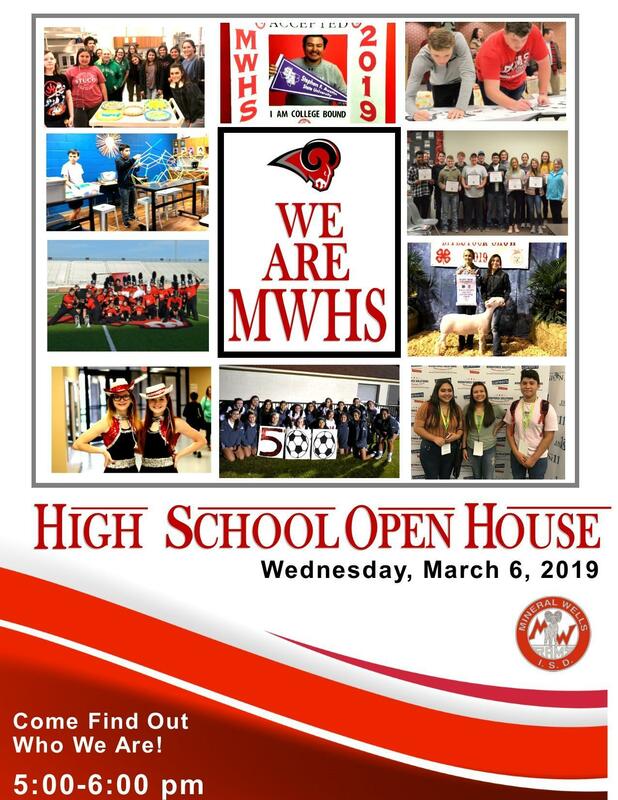 "Schools are the hub of our communities and Texas Public School Week is an excellent opportunity for our parents, family, and community members to visit our schools." 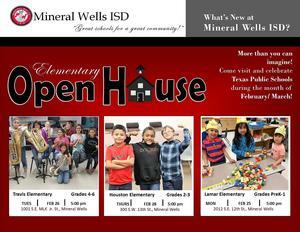 said Mineral Wells ISD Superintendent Dr. John Kuhn. 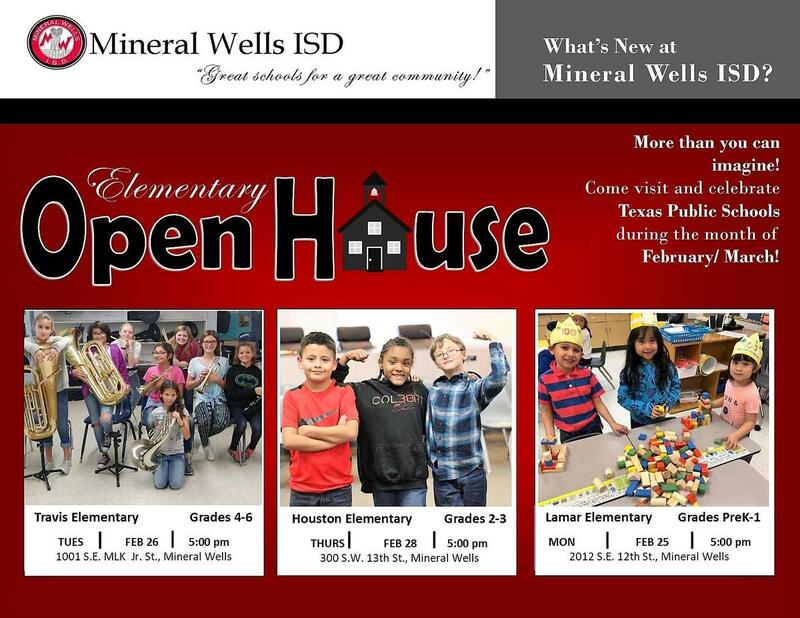 "Mineral Wells schools offer many great opportunities for our students and we invite parents and community members to attend the open house events during Texas Public Schools Week."